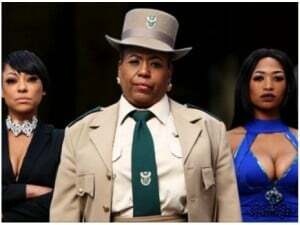 Johannesburg - M-Net’s entertaining travel show Wingin’ It, starring real life best friends Siv Ngesi and Janez Vermeiren, is moving to a new 17:00 timeslot from this coming Sunday, 2 April. The show, which used to be broadcast at 16:00 on Sundays is shifting as part of a new local schedule block for Sunday evenings. Wingin’ It’s new home at 17:00 will lead straight into The Voice SA, followed by M-Net’s flagship investigative journalism programme Carte Blanche. The 17:00 slot on Sunday nights on the channel will also be filled with local content going forward once this season of Wingin’ It has concluded, so watch out for exciting new original content later this year.